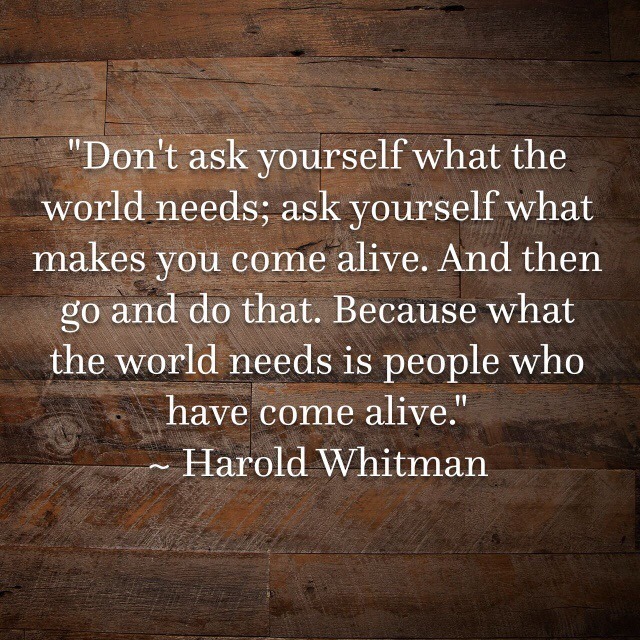 What makes YOU come alive? For me, I get an amazing feeling when I encourage other people. It could be a simple compliment about how they look, and uplifting word, a short note or a surprise gift. Seeing another person smile and feel a bit better about this life that they are living makes every part of my being come alive. It's why I started writing these cup of joe articles in 1997. It's why I began a blog in 2007. And if I am honest, its the main reason I use all forms of social media at all. Instagram, Twitter and Facebook provide a way to enter another conversation and hopefully lift the spirits of people all over the world. So let me ask YOU again, what makes YOU come alive? Once you identify that, move in that direction and watch the world come alive with you!